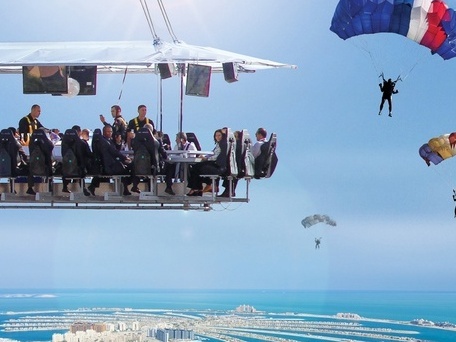 Yep, you can actually have dinner in the sky – or breakfast and lunch. This floating restaurant is suspended by a crane, 50 metres above the ground! Foodies, would you try this? Ever tried out paragliding? This insane sky-high adventure is a must-try experience, and there are actually quite a few great spots in the region to try it out. 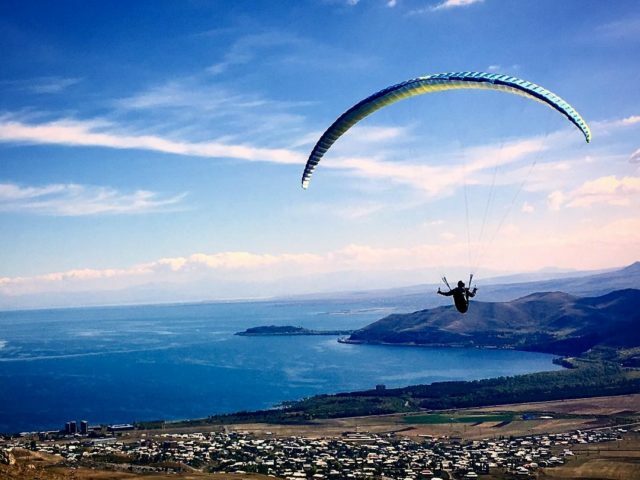 Sign up for paragliding in Iran & Armenia if you fancy flying over mountains, or Lebanon for stunning seaside views of the picturesque Jounieh bay. 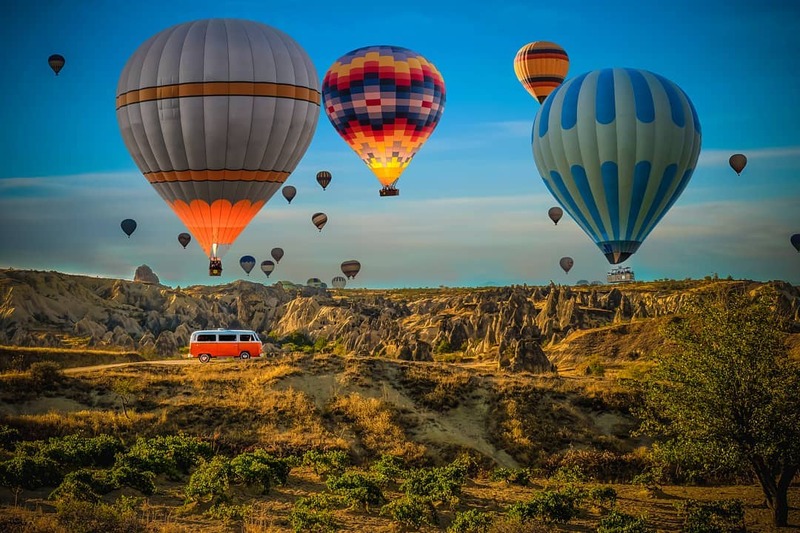 There are loads of places to try hot air ballooning in the region, but nothing compares to Cappadocia. 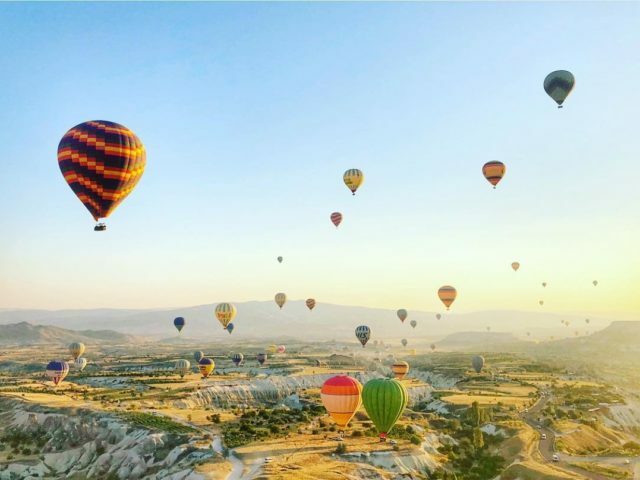 People from all over the world travel here just to experience the famous sunrise hot air balloon rides, flying over the city and its ‘fairy chimneys’. Just try it out, and you can thank us later. Did you know that the Middle East is home to the world’s longest zipline? 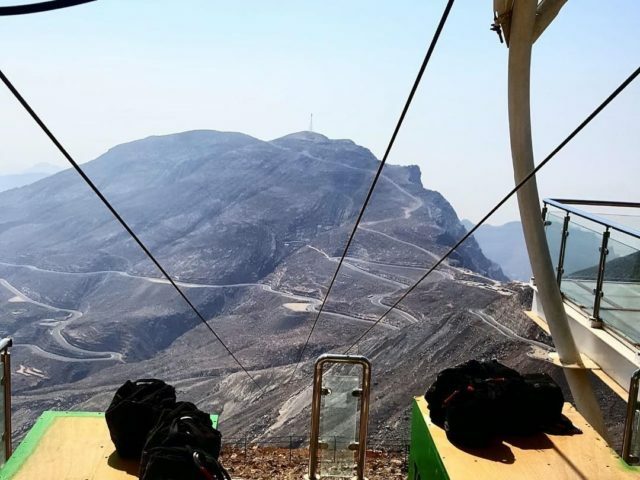 Yep.. and if you’re brave enough, you’ll be flying Superman-style across the Jebel Jais mountain in Ras Al Khaimah – the tallest mountain in the UAE! It may sound scary, but it’s an experience you’ll never forget. 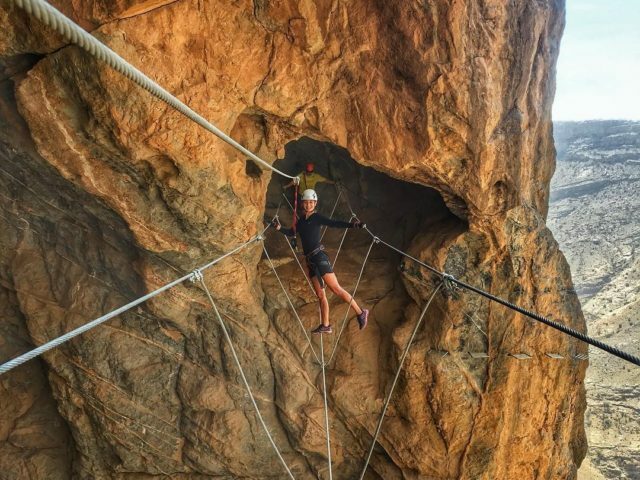 The Via Ferrata in Oman is a thrilling cave & climbing adventure at the top of the Jabal Akhdar mountains – that’s 6,000 metres above sea level! You’ll even have to walk across a wooden sky-bridge hanging over the mountains to get back. Yep, this is not one for the faint-hearted, but an unforgettable experience nonetheless. 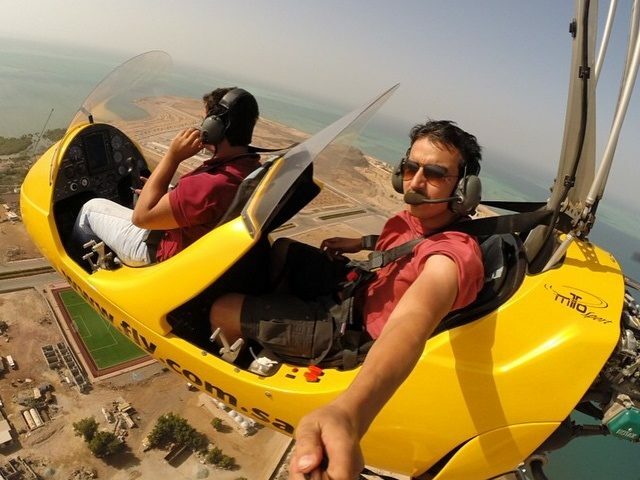 Ready to explore Jeddah from the sky?! If you haven’t been on a gyrocopter yet, you need to tick this adventure off your bucket list. Once you’re all buckled up, you’ll be flying up and above the Jeddah Corniche, past the Jeddah skyline and back. Ready to take your adventures to another level? Try jumping off a plane over Dubai’s man-made island! 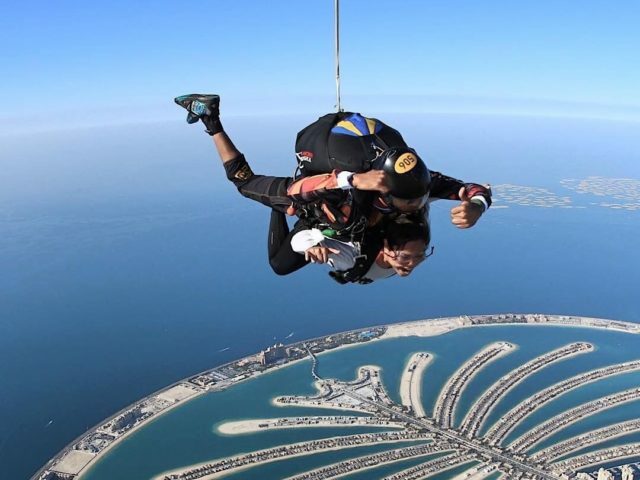 Sky diving over Palm Jumeirah is one insane experience that should be on everyone’s bucket lists – especially now that the weather is good.